Honda GX Series were originally developed in 1983. They are designed for the most demanding commercial applications. The Honda GX engine, a legend by it's name alone, has earned the reputation as the #1 most preferred engine for both rental and construction equipment. 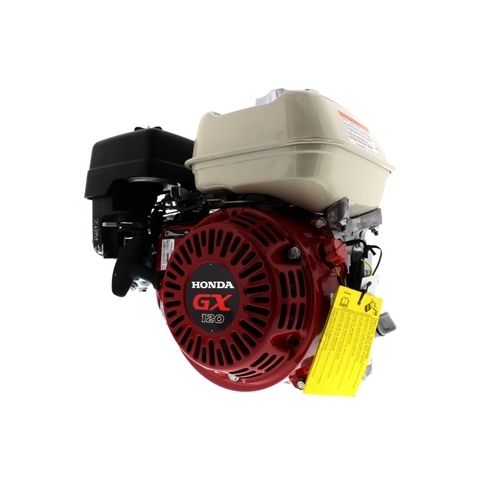 Honda GX Engines offers a complete line of small, general purposeoverhead valve engines for commercial, rental industry, and consumerapplications. Honda engines supply smooth and dependable power for morethan 2,500 different product applications, including Water Cannonpressure washers and a variety of air compressors, water pumps, lawnmowers, rescue and construction equipment. Honda GX Engines are known for their easy starting, smooth running features and easy to navigate controls. UseHonda GX Engines with confidence knowing they comply and are certifiedby California Air Resources Board (CARB) 2007 standards, existing EPAPhase 2 emission requirements and are compliant in all 50 States.